Cloud-based telecoms – more flexibility, lower costs, more control. Move your telephony into the 21st century with modern communication solutions designed for modern business. 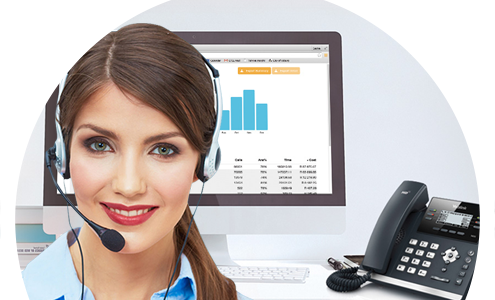 Whether it’s a call centre or PBX system, now you can leverage the speed and flexibility of the Internet to implement and manage both your internal and external telephony systems. VoIP technology replaces traditional line-based telephone networks (PSTN) with more efficient and reliable IP networks by converting standard telephone audio into a digital format that can be transmitted over the Internet. Neutralise the business risks and higher costs associated with traditional phone networks. Seamlessly bridge the divide between old handset technology and modern digital devices. As official supplier of Telviva VoIP technology, we have the ideal IP phone solution for you. Contact Avicom today, let’s talk digital. Choose your preferred device from leading handsets, smartphones, PCs or tablets and centralise control of your telecommunication systems. The future of business telephony is here. Telviva’s user-friendly, customisable functionality is ideal for companies who want greater control and flexibility, as well as huge cost savings. Tailor-made to fit your business workflow, Telviva offers hosted PBX, hosted contact centres or site-based solutions. Avicom offers complete turnkey solutions, from helping you choose which communication devices best suit your organisation, to linking it to the right bespoke Telviva solution and setting up your network.